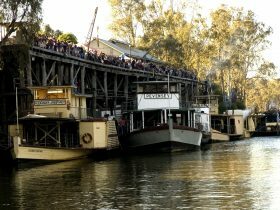 Murray River Paddlesteamers operate from the Port of Echuca located just 2.5 hours drive from Melbourne’s CBD. The company operate the iconic PS Emmylou, PS Canberra and Pride of the Murray. The spectacular paddlesteamer, the PS Emmylou, the world’s only wood-fired cruising paddlesteamer was recently relaunched following a specially designed luxury upgrade and fit out. Taking passengers for the first time through some of the most pristine and intact ecological forests, to places of geographic, historic and Aboriginal cultural significance, PS Emmylou will travel along the Murray River to world heritage wetlands, and the world’s largest red gum forest. 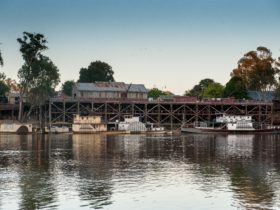 With only nine cabins this boutique steam-powered cruise, is able to moor alongside outstanding river wineries, drop in to local producers, pause to explore heritage sites such as the 1860s Perricoota Station, and access ancient Murray River tributaries on the MV Kingfisher with an environmental specialist. The refitted contemporary cabins include fine linens topped with silky duvets, with the boats’ premier Suite located on the front Upper Deck, with French Doors opening to deck. Onboard dining, prepared by the Chef, features local food and wine from across the region. Riverside campfires with stunning night skies to complete this unique experience. You may also wish to explore the River on a overnight cruise. PS Emmylou, the world’s only wood-fired cruising paddlesteamer has been relaunched following a specially designed luxury upgrade and fit out. Taking passengers for the first time through some of the most pristine and intact ecological forests, to places of geographic, historic and Aboriginal cultural significance, the PS Emmylou travels along the world’s third longest navigable river, to world heritage wetlands, and the world’s largest red gum forest. 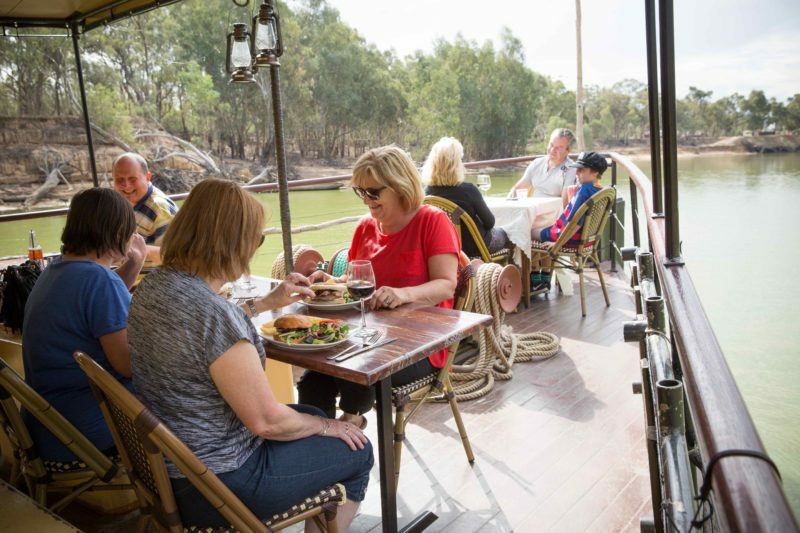 With only 9 cabins, and the Murray River as muse, this boutique steam-powered cruise, is able to moor alongside outstanding river wineries, drop in to local producers, pause to explore heritage sites and access ancient Murray River tributaries on the MV Kingfisher with an environmental specialist. Enjoy the sights and sounds of the Murray River aboard PS Canberra departing four times daily for a one hour cruise. PS Canberra is the oldest river boat on the Murray River having celebrated her century in August 2013. She has has been taking visitors on cruises along the Murray, Darling and Murrumbidgee rivers since 1944. Your can also board Pride of the Murray for daily Lunch at Restaurant C24, Pride of the Murray’s original barge number, during winter months in air-conditioned comfort. Pride of the Murray began life as a barge in 1924 and was converted to a paddle wheeler. 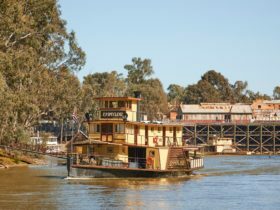 She is one of only three boats built in Echuca that still operate on the Murray River today. Highlights include a unique 360 degree viewing area above the engine, fully enclosed and open areas (perfect for group gatherings), wide viewing windows to see the paddlewheels and skipper’s commentary of the historic port and its unique paddleboat fleet. All children, big and small have the opportunity to steer the paddlesteamers and receive a free skippers certificate. Both paddlesteamers feature an onboard kiosk, fully licensed bar, toilet facilities and easy access on and off the vessel. Travel north to the Murray for a weekend escape of great food, wine and river. 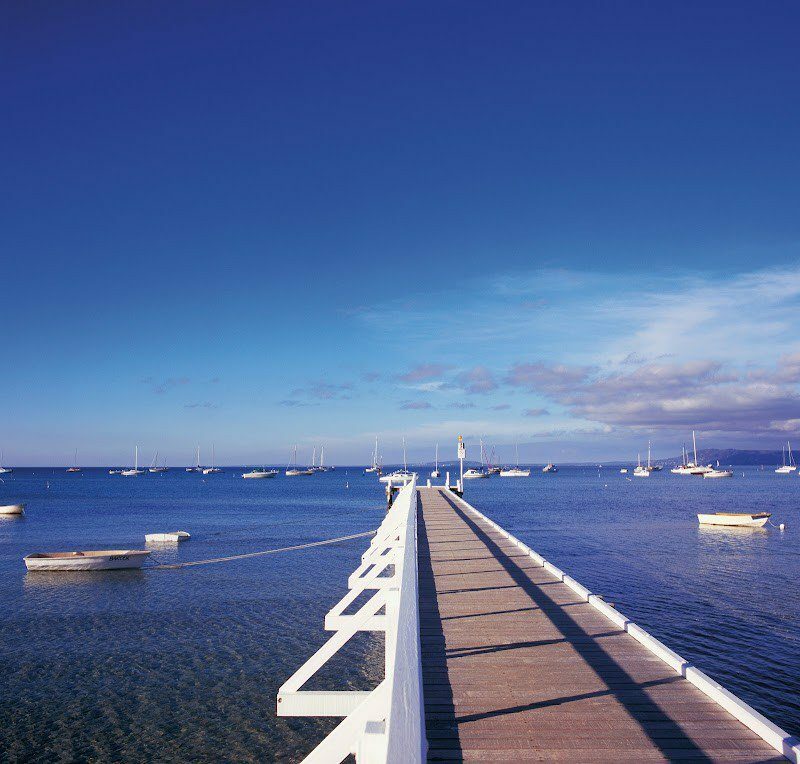 This special package sees you staying at the new Mitchelton Winery Hotel, enjoying the popular Wharf to Winery Lunch and cruising overnight on PS Emmylou . Starting on Friday with an overnight stay at the magnificent Mitchleton Winery located on the banks of the Goulburn River each of the 58 rooms features a private balcony. Boasting earthy notes throughout you can relax in the spa, enjoy the sun on the landscaped terrace or take swim in the 20 metre infinity pool. Enjoy a meal at the Muse Restaurants, which features a menu of local Goulburn Valley produce and the Mitchelton Wine Portfolio. 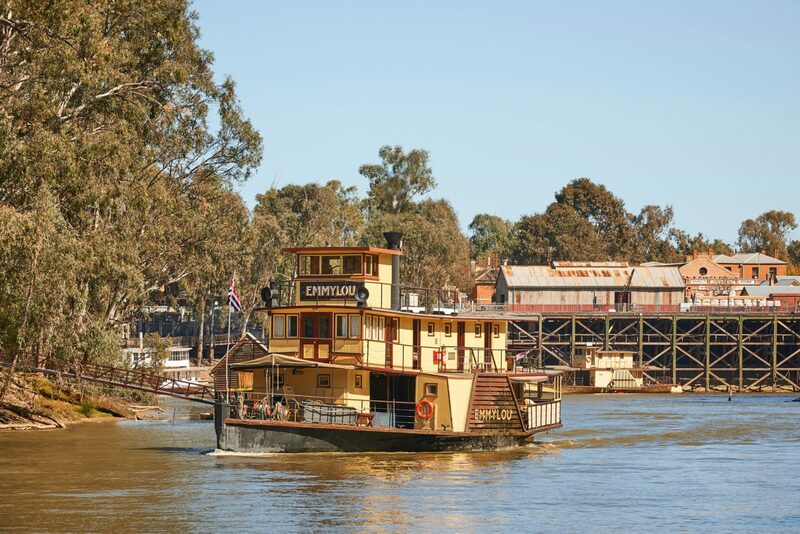 From Nagambie it is a 90 minute drive to the Murray where you can leave the car securely parked overnight before your 11:30am departure aboard PS Canberra for the popular Wharf to Winery Lunch Cruise to Morrisons Riverview Winery and Restaurant. After lunch, have some free time in Echuca before boarding the PS Emmylou for your sunset five course dinner cruise and overnight stay in your brand new designer cabin with private ensuite. After dinner, enjoy a campfire and breakfast the following morning. Combine a cruise on PS Canberra or Pride of the Murray with a relaxing lunch at Morrisons Winery. Take a 30 minute cruise downstream to Morrisons Winery where you will be dropped off for your two course lunch with complimentary glass of wine, beer or soft drink. You have the opportunity to taste and buy all the Morrisons Wines and do not forget you can also enjoy a glass on your return paddlesteamer cruise to the wharf. You have the option of two return times for those that wish to linger a little longer on the deck or beside the fire. Just let the team know which time you wish to depart and menu choice when picking up your boarding pass from the office. Boarding time is 15 minutes before departure. Do you have a large group and want to leave the car behind? For groups of six or more, Murray River Paddlesteamers offer a courtesy return shuttle from hotel accommodation. This special package runs seven days a week, and is very popular on weekends and in peak holiday periods, so please book well in advance. The new three night Discovery cruise steps guests back in time reconnecting them to Australian history, geography, culture and cuisine along Australia’s longest and most famous river. Be one of the first guests to enjoy a totally authentic river cruise aboard PS Emmylou from September 2018. From the moment you step aboard and hear the steam whistle blow you will be totally relaxed. Enjoy riverside campfires, day and night cruising to see the river from a totally different perspective under Emmylou’s powerful floodlights, travel on a half day excursion to world heritage sites for a small boat eco cruise, enjoy lunch at a riverside winery and a visit to the famous Perricoota Station where we moor overnight and enjoy a fabulous dinner in the Dining Room of the homestead. 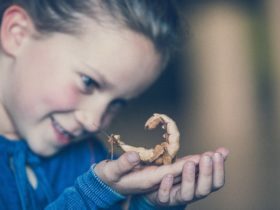 Our new premier 4 Night Upper Murray Explorer cruise steps guests back in time reconnecting them to Australian history, geography, culture and cuisine along Australia’s longest and most famous river. 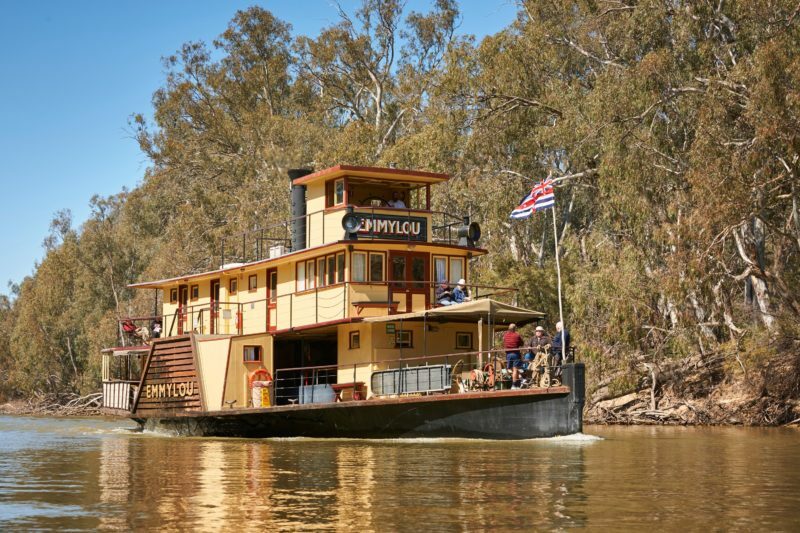 Traveling the mighty Murray River aboard PS Emmylou on this 4 night cruise will transport guests back in time, to an era of leisurely and romantic travel. 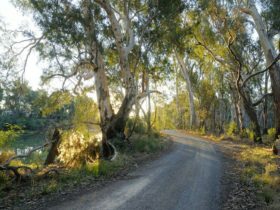 Cruising over 180km you will experience both large sections of the river both up river from Echuca and down river cruising as far as the Torrumbarry Weir. This extended cruise will delight the interest of nature lovers, history buffs and culture enthusiasts letting you delve further into beauty and adventure on the Upper Murray River. 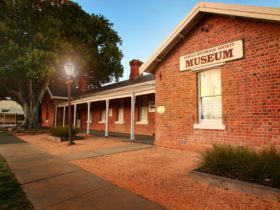 Experience the magic and majesty of the spectacular scenery of Australia’s longest river and follow in the wake of early history when Echuca was Australia’s largest inland port.